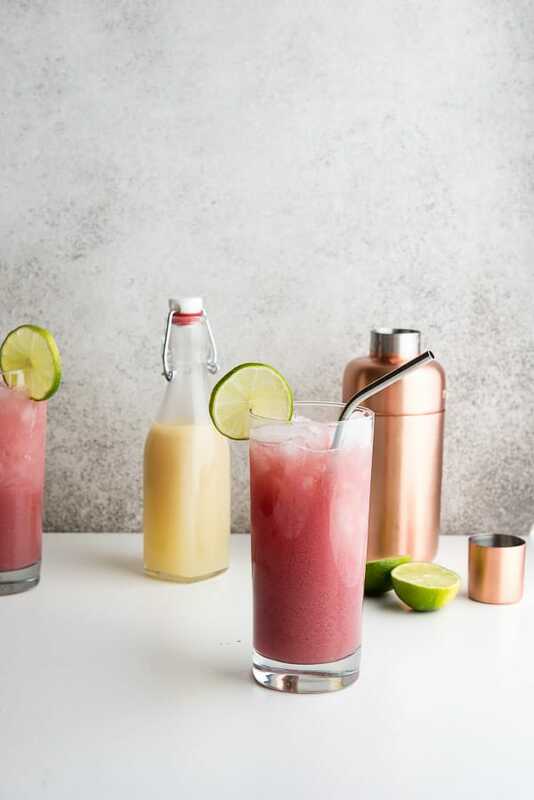 Mixing drinks has never been more refreshing than when making a Cape Cod Cooler (cocktail) and Homemade Orgeat Syrup. 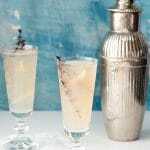 The blush-tone cocktails are thirst quenching with sloe gin, gin, cranberry cocktail and orgeat syrup. Making orgeat syrup (using almonds, sugar, and orange blossom water) is a cinch. 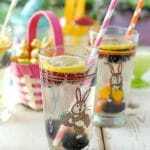 Keep it in the fridge and on the ready for summer drink making! As the weather continues to heat up my mind has been drifting toward summer cocktails. Summer is probably my favorite cocktail season due to all the fresh available ingredients. Most sweltering evenings are made all the better by a fruity cocktail in a frosty glass clinking with ice. My first sipper of the season? The Cape Cod Cooler. Being landlocked I dream of nautical motifs, waves lapping at a sandy shore and my idea of an East Coast summer. Especially around Memorial Day and Fourth of July I imagine beach parties on the rugged shoreline, long beach walks, lobster cookouts and lazy cocktail sipping. I love to use ingredients that are full of flavor and speak to the vibe of the season. A favorite I use often in dessert recipes is Orange Blossom Water. It has a light orange flavor and a dreamy exotic scent. I use Nielsen-Massey’s Orange Blossom Water (as well as their vanillas and rose water loving the quality and pure flavors) which is made using the blossoms of the bitter orange tree, infused in distilled water. Also known as ‘essential oil of Neroli’, orange blossom water is traditional to Persian, Arabic, eastern Indian and Turkish cuisine. Have you ever use Orgeat (pronounced or-zha for the French pronunciation or or-zhat) in your home cocktails? It’s a delicious syrup made with almonds, sugar and orange blossom water. 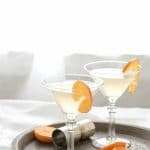 The light mix of almond and orange blossom make a wonderful versatile syrup that are popular in many cocktails, the most well-known of which is the tropical Mai Tail. The syrup is very easy to make at home and I’m sharing my recipe today. I love having it on the ready for cocktail mixing. As much as I do love a good Mai Tai, the Cape Code Cooler also uses Orgeat. 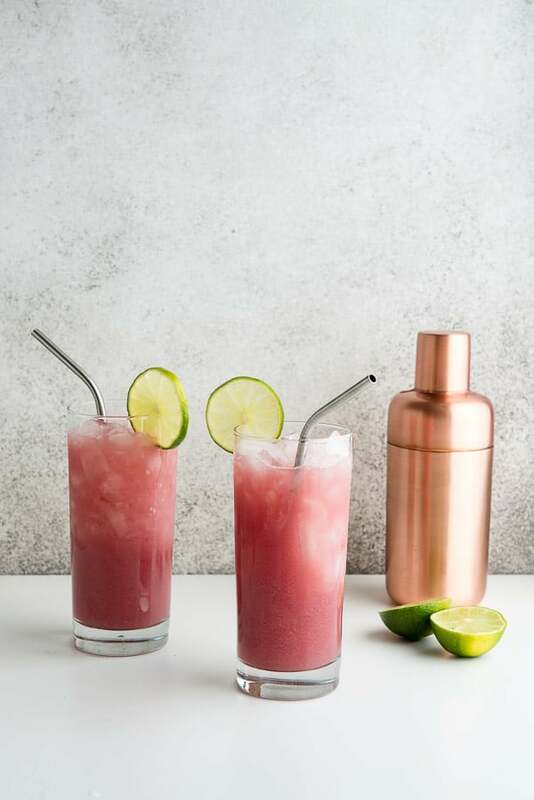 The Cape Code Cooler is a made with traditional gin, cranberry cocktail and sloe gin (a liqueur made from sloe berries used to make the famous ‘sloe gin fizz’). 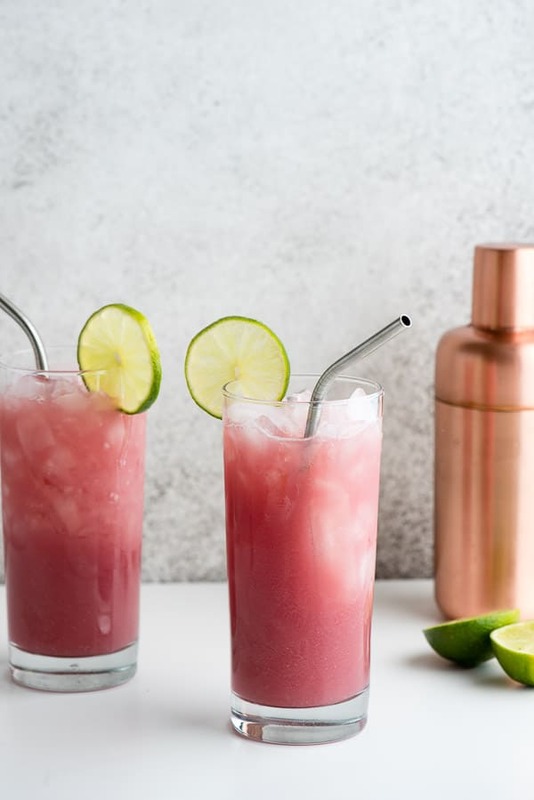 The cocktail mixes up into the most refreshing shade of pink and is served over mounds of crushed ice just perfect to take the edge of a hot summer day. Would you like more delicious recipe inspiration? Follow Nielsen-Massey on Facebook, Instagram and Twitter! 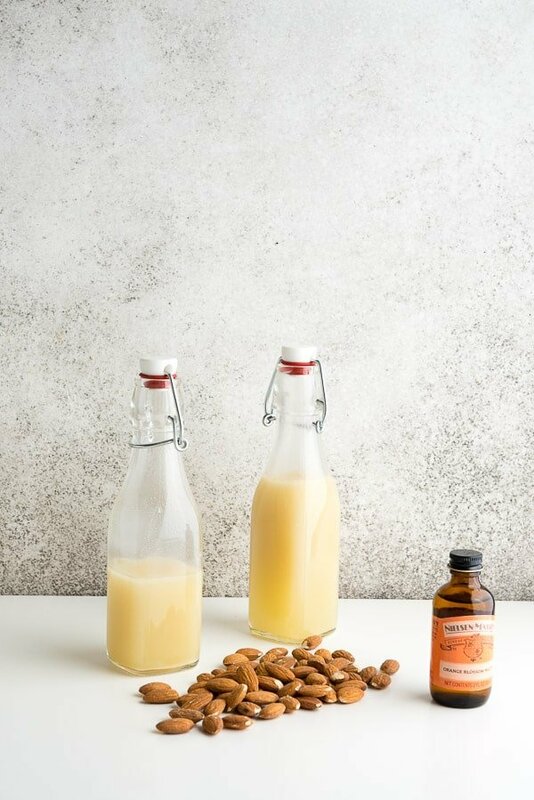 Orgeat Syrup is a simple syrup using almonds and orange blossom water that is very easy to make at home. 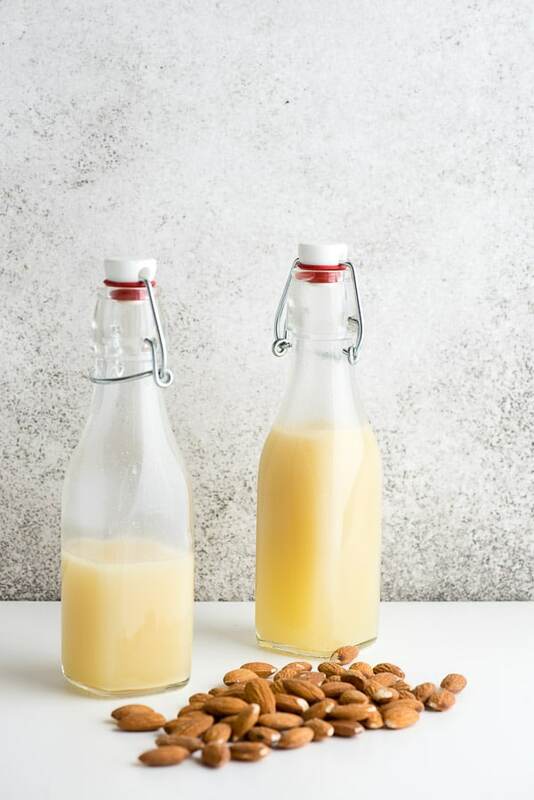 This recipes uses blanched almonds creating a milky color and subtle flavor. Orgeat is used in many cocktails including the Cape Cod Cooler perfect for summer sipping! Note: Orgeat will separate as it sits. Just shake before using. Preheat the oven to 400 degrees C. Line a rimmed baking sheet with foil, dull side facing up. Place the almonds in one layer on the prepared pan. Roast the almonds for 3 minutes, shaking the tray halfway through cooking. Remove from the oven and allow to cool fully. Once cooled process through a food processor or blender into small pieces. In a small saucepan, combine the sugar and water; bring to a boil over medium-high heat to dissolve the sugar. Add the nuts and remove from the heat. Cover and allow to infuse for 3 hours (note: can be infused longer for a deeper flavor but no longer than 12 hours). Drain through a fine mesh sieve into a bowl or large liquid measuring cup. Stir in the orange blossom water and vodka. Pour into jars or bottles, seal and store in the refrigerator for up to 2 weeks. Fill two 14 ounce Collins glasses half to ¾ full of crushed ice. 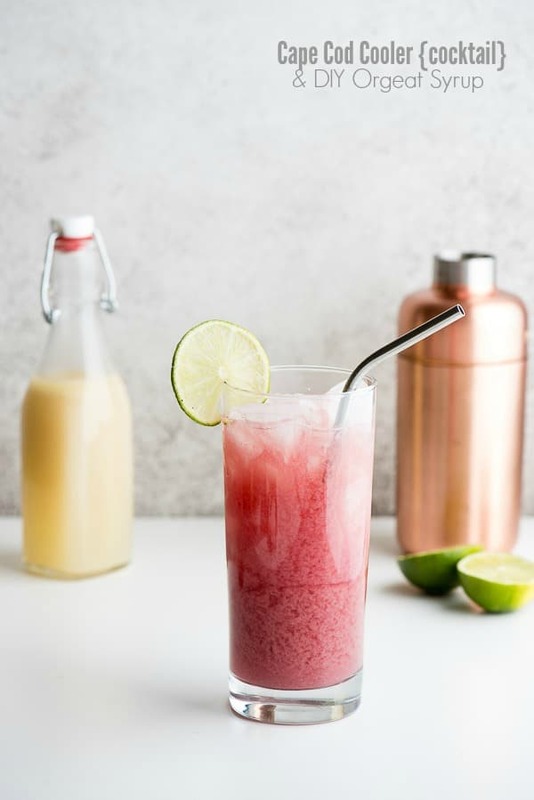 Add 2 ounces slow gin, 1 ounce gin, ½ ounce lime juice, ½ ounce orgeat and 5 ounces of cranberry cocktail to a shaker with ice. Shake and strain into one of the prepared glasses. Repeat for the second cocktail. Garnish with a lime slice. this looks so good. i could use a glass or 5 right now. I haven’t tried making my own syrup before. You recipe looks easy enough to follow. 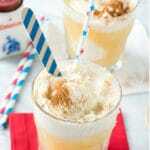 The cape cod drink looks so refreshing. I’d love to serve that to guests that drop by our house occasionally. 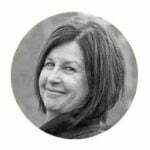 It’s super easy Annemarie. The flavor is so lovely I think once you make it you will think of other ways to use it too! Would be great just with some sparkling water or in coffee too! I sure don’t mind having these drinks during the warmer days of the year! 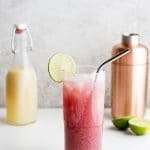 Both look so refreshing and I’d love to keep th recipe!